FEB 10, 14 .. THE STANLEY CUP OF ICE HOCKEY .. This past weekend .. I attended two Ice Hockey games here in Anchorage at the Sullivan Arena. At each game the Stanley Cup Trophy was on display. Friday I had forgotten to wear my Alaska Aces Team Jersey. So Saturday I went back and .. 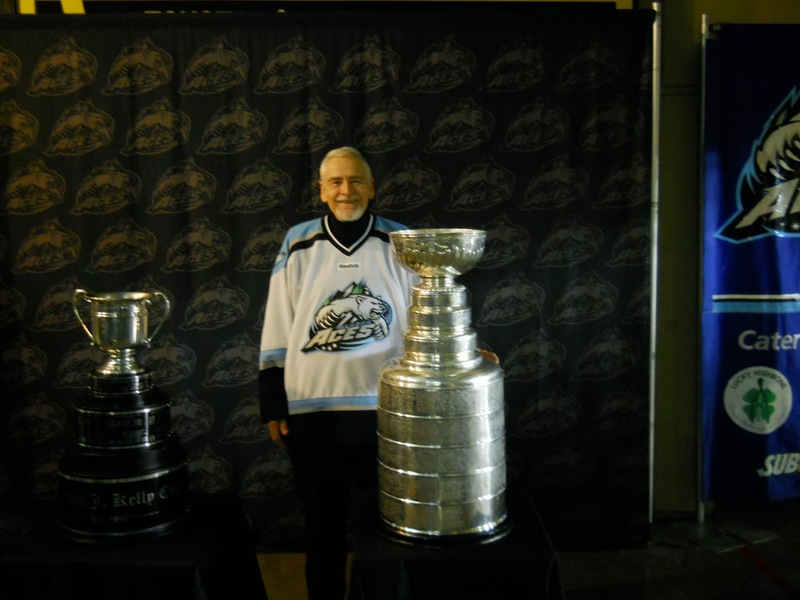 I waited again in-the-line for about thirty minutes to get a photo of myself and my team jersey with the Stanley Cup.